I purchased the Czeck Edge ruler stop about two months ago and keep finding more and more uses for it. It costs around $35 and clamps onto almost any ruler easily and securely. In addition to a ruler stop, it is accurate enough to convert a ruler into a double square. 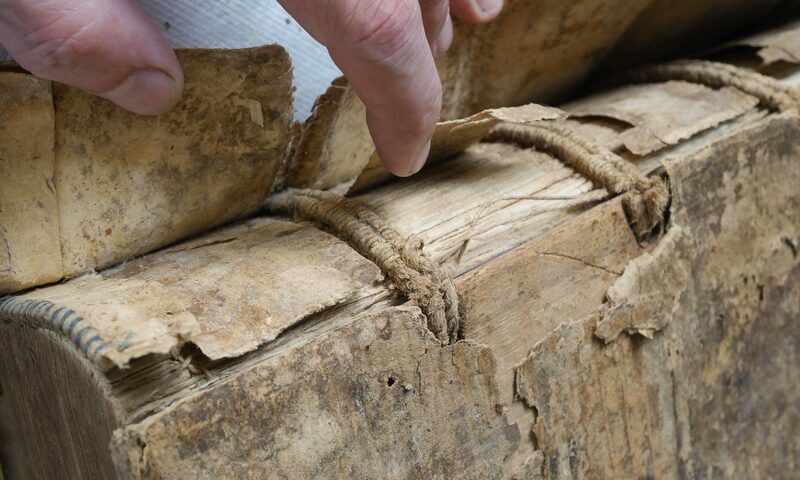 Although marketed to woodworkers, bookbinders will also find it quite useful. The non-rusting anodized aluminum is slightly more compatible with binders boards, leather, paper and cloth than a hardened steel Starrett double square. This tool is useful in circumstances where your dividers are not large enough, for example when centering a label in the middle of a bookboard. 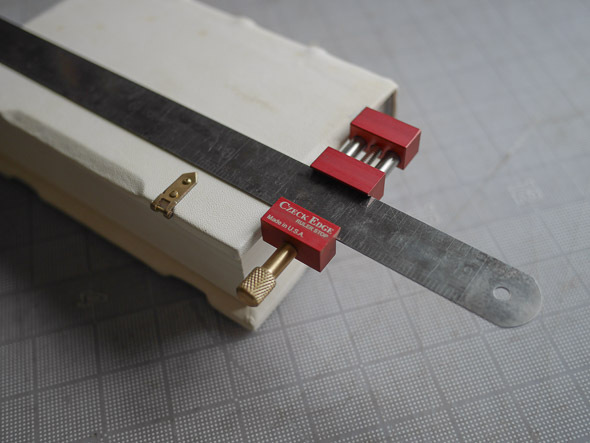 It can be used for measuring a book without relying on quantification for boxmaking: simply set the stop for the measurement of the book, then transfer the distance with a knife to your board. It could be used for laying out tooling. I’m sure there are many more uses. The small (3.75 x 1 x .5 inch with the knob) size is appropriate for books. This is a handy little tool at a reasonable price. Czeck it out! Sorry! Here I am using it to position the catch plates when mounting clasps.